The STULZ Micro DC provides a cost-effective solution to quickly build up IT capacity where it is needed. This modular, highly efficient solution is easily scalable to meet both the needs of today and the growth of tomorrow – even in places where space is limited. Configure your Micro DC here! Every STULZ Micro DC can be configured for low to medium density IT loads, as well as a combination of Integrated Precision Cooling (ICS™) and Direct Contact Liquid Cooling (DCLC™), for high density workloads up to 80 kW per rack. 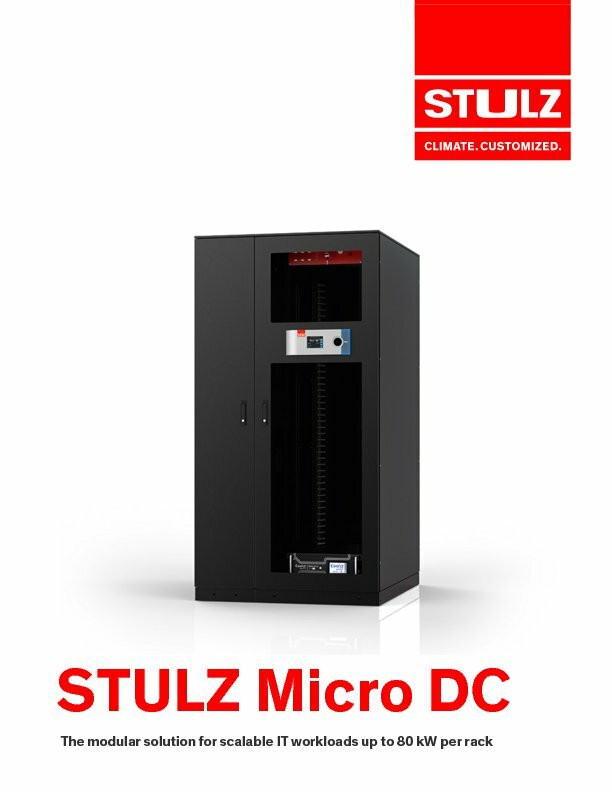 The STULZ Micro DC is a 19" standard rack that is available in three different heights: 40, 45 and 48U; and two different dephts: 1,250 mm and 1,450 mm. Availability depends on your region and can be determined using the configurator. Both shown configurations are equipped with STULZ ICSTM (side-mounted cooling solution). While the standard version has the C2020 controller, the high performance model comes with E2 and is compatible with Direct Contact Liquid Cooling. Traditional data centers and server rooms often need to be planned years in advance. Costly restructuring is not uncommon. The STULZ Micro DC offers an incomparable level of scalability that makes it possible to grow with the requirements. Depending on the requirements, the STULZ Micro DC can grow from a 1-rack configuration (from 3 kW) to a 6-rack configuration with a heat load of up to 480 kW. The STULZ Micro DC can thus drastically reduce your investment costs in IT infrastructure.